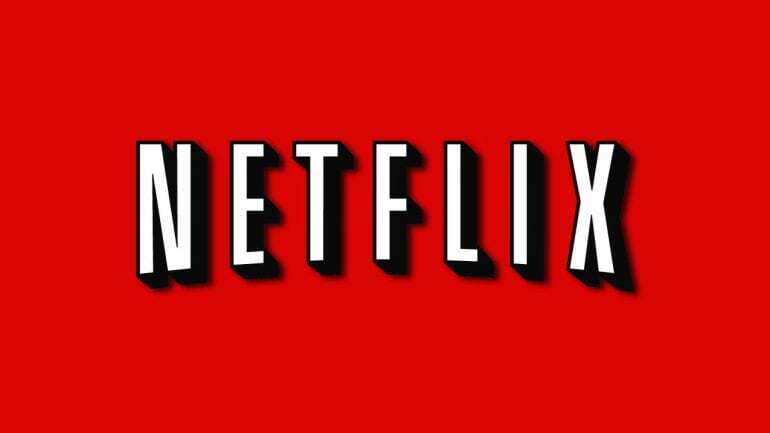 On Tuesday, Netflix announced it would be raising prices for all 58 million US subscribers by anywhere from 13 to 18 percent, depending on which plan you have. 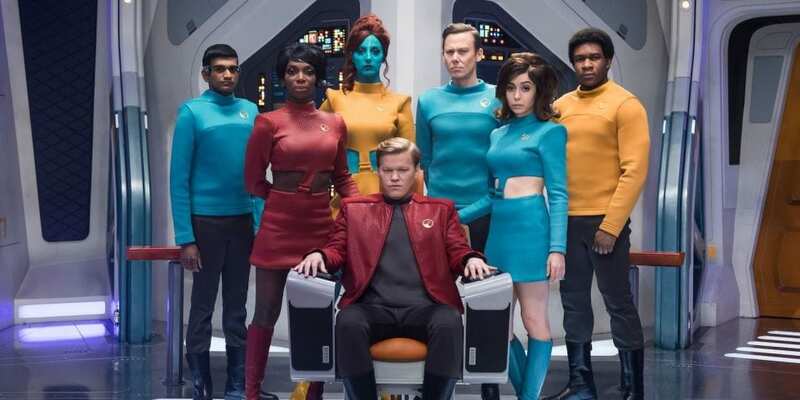 The price increases are expected to help the company produce even more original content while also going toward paying off debt incurred fending off new entrants to the streaming industry, like Disney and Apple. And while news of the rate hikes made investors happy and caused the company’s stock to rise, we couldn’t help but wonder what actual customers thought about the price increases. After all, these are the biggest price increases the company has ever rolled out in the 12 years since launching the streaming service. 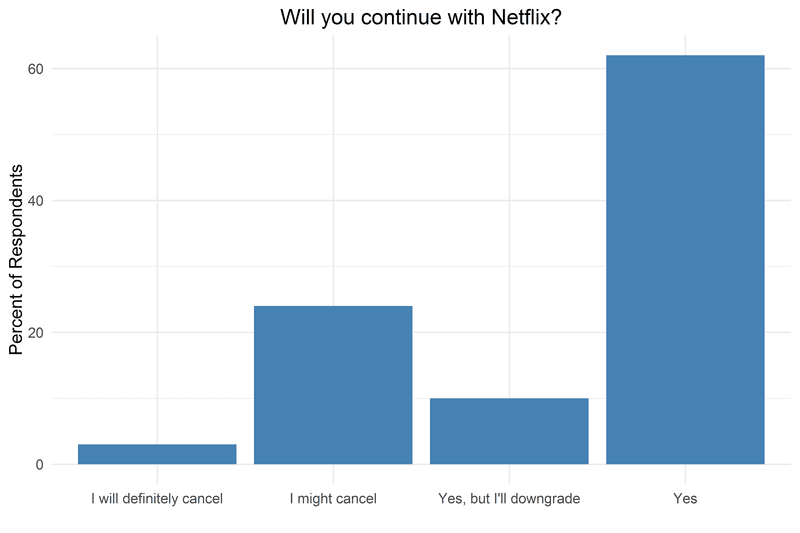 With that in mind, we surveyed current US Netflix subscribers to gauge their reaction to the latest round of price increases from the streaming service. Here’s what we found. We partnered with Mindnet Analytics to conduct an online survey of 607 random current male and female US Netflix subscribers. Our goal was to understand how users felt about the recently announced price increases. 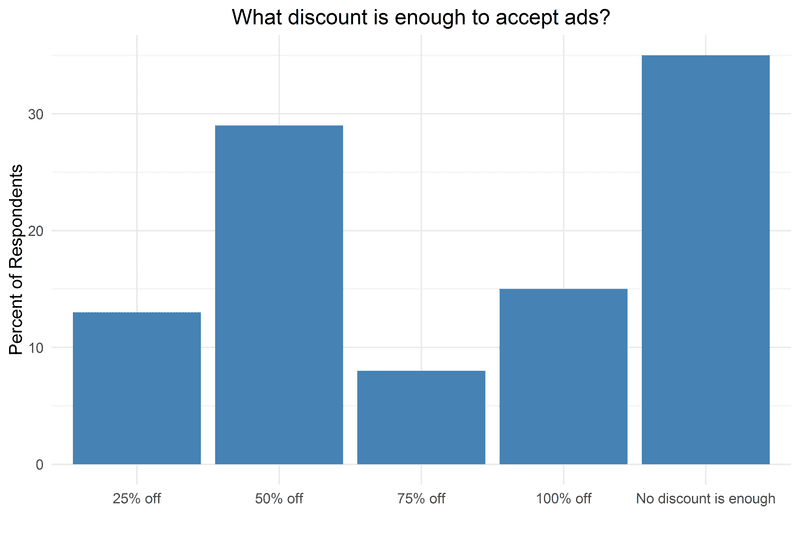 We asked a range of questions to find out if customers were aware of the price increases, if they even knew how much they were currently paying for the service, how they planned to react to the increase, and if they had any interest in a discounted ad-supported version of Netflix. 24% of respondents said they “might cancel” while 3% were certain they would “definitely cancel”. 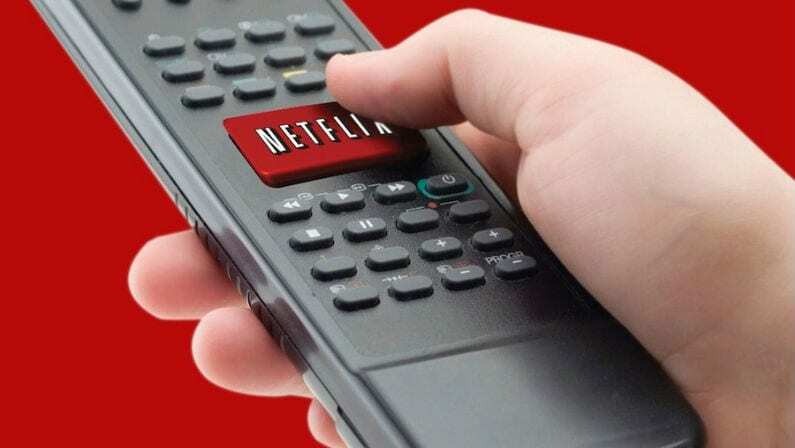 Only 35% of respondents said they wouldn’t tolerate commercials on Netflix, even if the service was free. Sample details: Only US participants. Our sample has an appropriate distribution across age categories for streaming video users and representative gender spread of 51% female and 49% male respondents. The fastest 4% of the sample were removed before analysis to ensure data quality (as they may have sped through without paying attention) resulting in the final sample size of N=607. Only mturk workers with a 95% or higher approval rating were permitted to take the survey and only those with at least 50 past tasks completed. No way is 27% of Netflix subscribers are going to quit over $2. I won’t watch ads. I don’t care what the show is, I don’t care what the medium is. Ads are for people too stupid to turn away or hit the mute button or change channels. I watched a super bowl 8 or 10 years. It was on tivo and I watched the entire broadcast in less than an hour without seeing a single stinking ad. Ads are for morons.